Irene Nemirovsky was a Ukrainian-born Jew living in Paris during World War II. In 1940, she and her family left Paris before the Germans invaded. She spent the next two years writing the first two parts of this novel before she was arrested by the Germans and sent to Auschwitz. Her daughters saved the leather-bound manuscript when their mother was arrested. Sixty years later, they had it translated and published, and soon after watched it rise to become a best-selling novel. The first part, “A Storm in June,” describes the lives of families who, in the 1940s, moved from the metropolitan cities of France to the countryside, fearing the German invaders. The struggle to survive, along with the strength, hardships, losses, and transformations that take place during the migration, are shown through the lives of these families. The second part of the novel, “Dolce,” follows Frenchmen in a German-occupied village. The Germans direct every day for the citizens, taking away everything from grain to lakes, and requiring coupons for food and drink. The story reveals the inner struggle of the villagers as they decide to accept or decline their German company, and the resulting consequences. It unmasks a bleak reality that is nearly impossible to realistically portray. Nemirovsky's writing is sharp and concise while still holding tight to the descriptions and minor details necessary for the realism of this plot. Despite the interesting story and characters that, at times, tug at your heartstrings, the lack of dialogue and occasionally odd translation make it a difficult read. 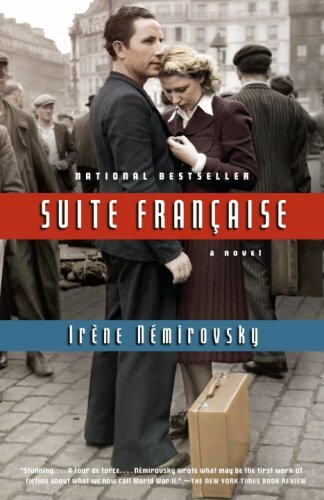 I recommend Suite Francaise as both a historical account of a disastrous period in history and a fictional read with an interesting plot. However, it is difficult to read, not always keeping my attention. The overall curve of the story was both intriguing and edifying, but it's long.